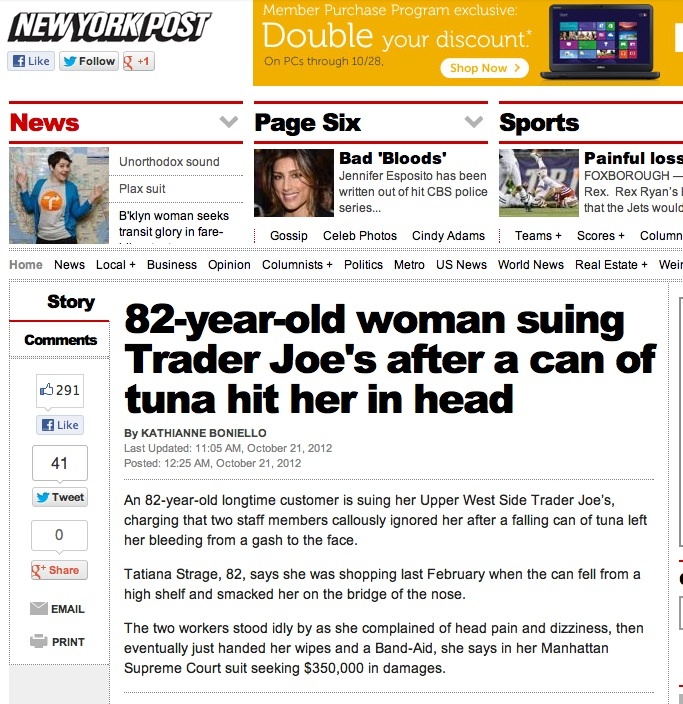 Will Trader Joe's pay $350,000 for a can of tuna? 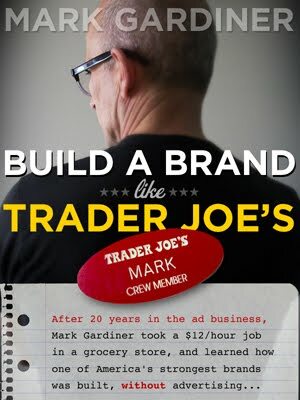 After 'the (mezzo-)soprano' will Trader Joe's sleep with the fishes? 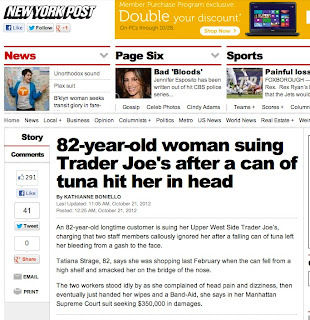 The reliably sensational New York Post reports that an 82 year-old grandmother is suing Trader Joe's because a can of tuna fell off a shelf and whacked her on the bridge of the nose. 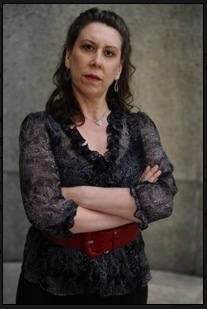 Her claim is that two Crew Members at her local shore (on Manhattan's Upper West Side) callously ignored her, then eventually handed her some wipes and a band-aid. The pain of her nose wound and (claimed) headaches will, presumably, be assuaged by the $350,000 that she's suing them for. This story, which the hilarious blogger 'The Gothamist' has dubbed "the single most Upper West Side lawsuit in history", would probably never have happened if the Crew Members in question had responded in a more sympathetic fashion. 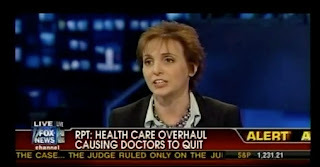 Oh well, I guess good help is hard to find, eh? I never realized that the case had actually gone all the way to trial. 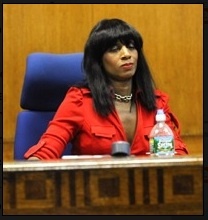 ...New York judge ShawnDya Simpson (a character who appears to have sprung straight from the imaginations of the writers of the '80s sit-com Night Court) ruled that Caprario had acted in self-defense.